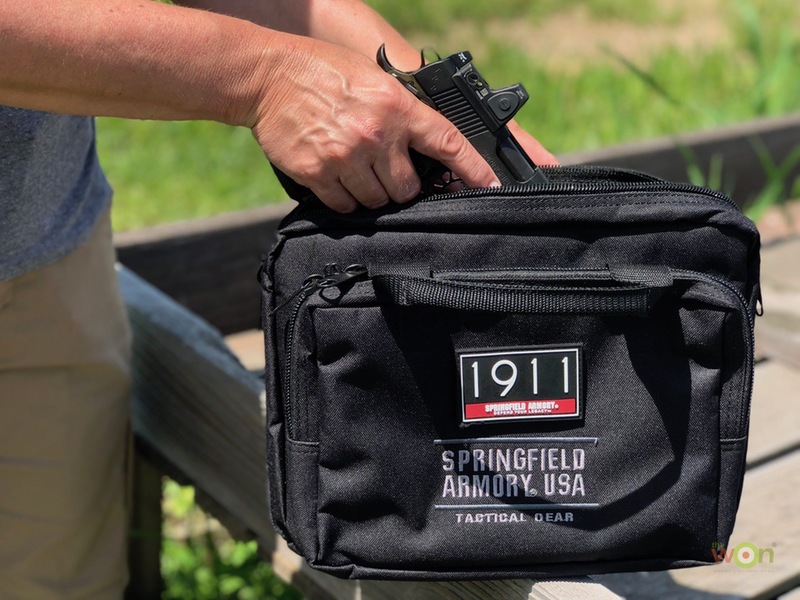 I’ve shot many different Springfield Armory firearms and felt excited to get the opportunity to take the new 1911 TRP 10mm RMR [MSRP: $2,507] to the range. Sure, I ran quite a few rounds though one last fall at Springfield Armory’s Desert Duel writers’ event, but that was without the RMR. Now I had the time to try different ammunitions and see just what this 1911 can do. 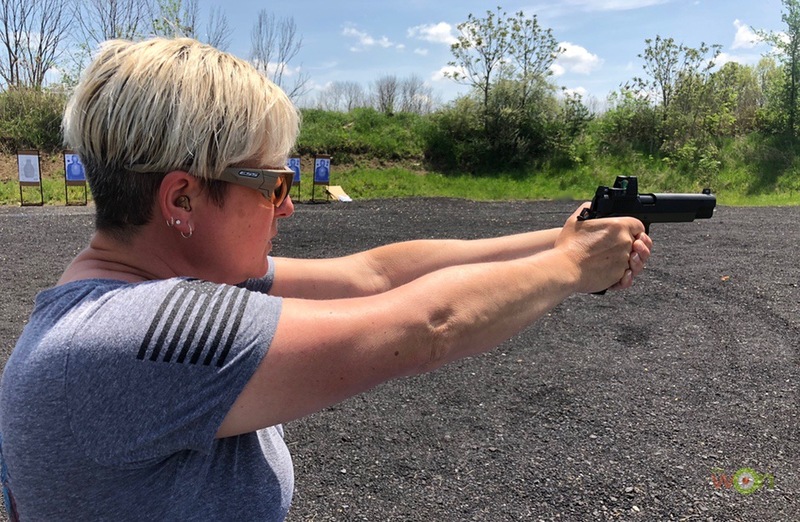 Available in both 5- and 6-inch barrel lengths, the Tactical Response Pistol’s (TRP’s) forged steel frame and slide are precision fit to a Match Grade stainless steel barrel. A coating of Black-T, a corrosion-resistant finish on the slides and frames offers protection in heavy use and harsh conditions. A crisp 4.5 to 5 pound trigger pull from the Springfield Armory Gen 2 Speed Trigger offers a clean break. 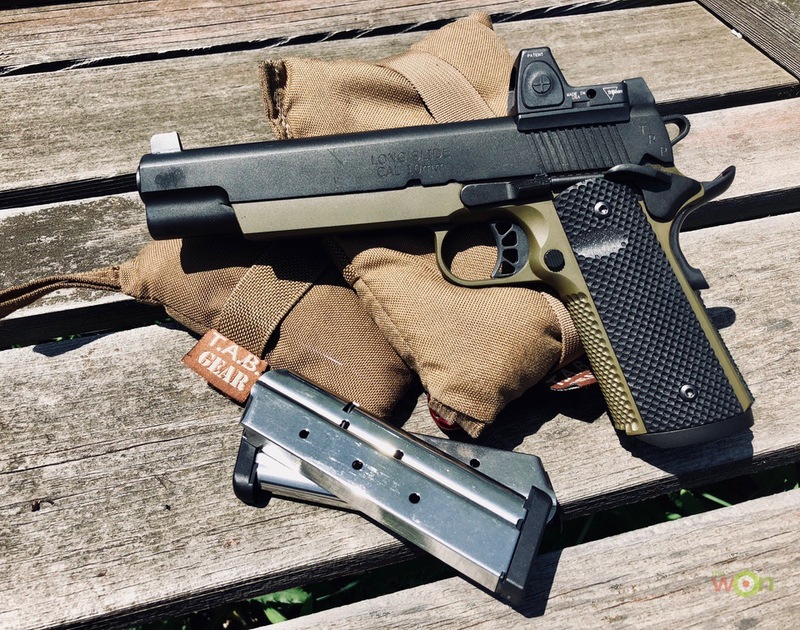 For this version of the TRP 10mm, Springfield Armory partnered with Trijicon by adding its Integrated Night Sights and Ruggedized Miniature Reflex (RMR) sight to this specifically milled 1911. Crafted from 7075-T6 aluminum to mil-spec standards the rugged red-dot optic has a patented shape that absorbs impacts and diverts stresses away from the lens, increasing durability. This combination is great for hunting, which is perfect for this caliber ammunition. 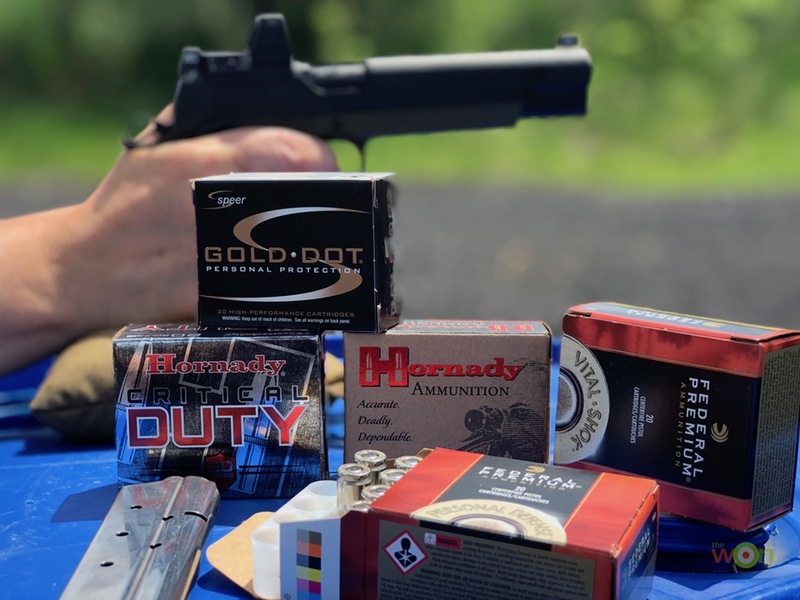 On the range, I tested 5 brands of ammunition: Speer Gold Dot, Federal Premium’s Vital-Shok and Personal Defense and Hornady’s Critical Duty and Custom 180 gr XTP. I tested the pistol and ammo at 10 yards from a sandbag using the sights. The smallest group of 5 fell within 1.25 inches and the largest, at 2 inches. The overall average was 1.75 inches for the various brands of ammunition. 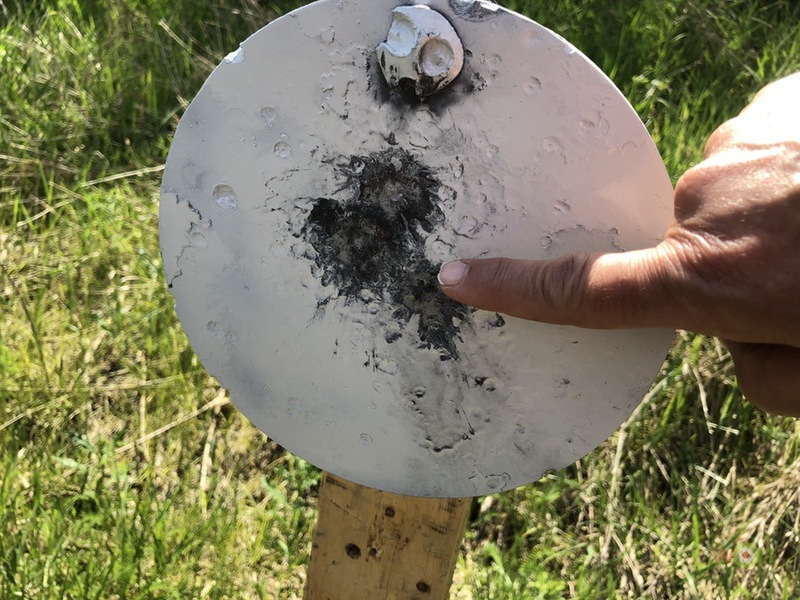 Later I set up an 8-inch steel plate at 50-yards and shot the target 6 out of 6 times offhand using the Trijicon RMR. 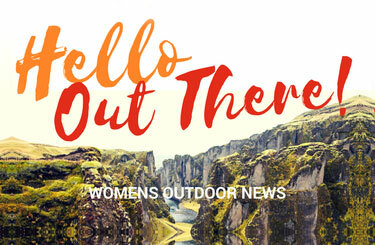 Honestly, I had a difficult time managing the recoil of the TRP. While shooting offhand, my first 3 shots were malfunctions. So, for the next 3 I held with a much firmer grip and had no more issues. 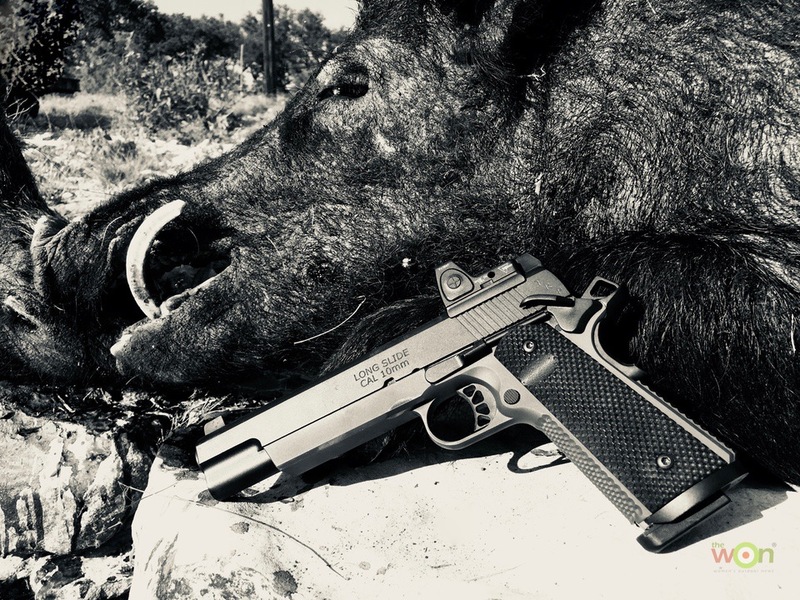 Not too bad, the Springfield Armory TRP 10mm RMR was ready for a hunt. Although I have yet to take the TRP hog hunting, my husband took it along on a recent trip to Texas. Yep, 2 hogs, weighing more than 400-pounds each went down. 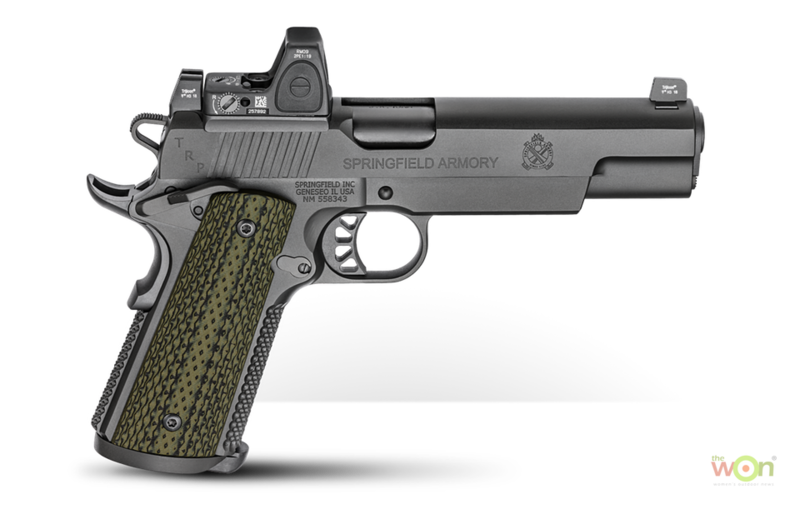 Learn more about the Springfield Armory TRP 10mm RMR here.